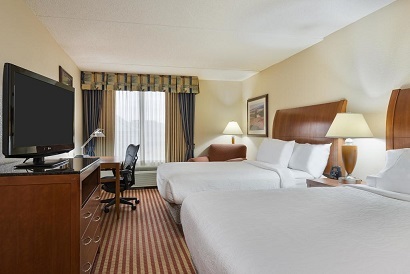 Located in Greenbelt, Maryland just off I-495 (Capitol Beltway) and I-295 (Baltimore Washington Parkway), the Hilton Garden Inn Washington DC/Greenbelt hotel is convenient to the business, government and cultural centers of the nation's capitol. We are situated between Baltimore, Annapolis and Washington DC. Whether traveling to Maryland on business or pleasure, our guests can choose from 155 guestrooms including 15 suites. All king accommodations feature the Evolution Solution GSS bedding system, flat screen televisions and Herman Miller� ergonomic chair. Each room is equipped with a spacious work desk, voicemail, wired and wireless complimentary internet with secure remote printing, microwave, refrigerator and coffee maker. Iron, ironing boards and hair dryers are standard in all rooms. 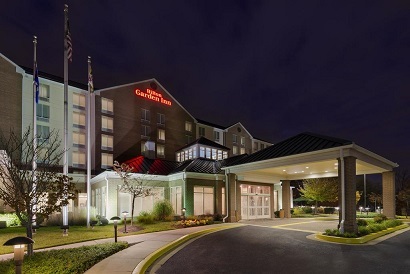 Convenient to NASA Goddard, IRS, Northrup Grumman, Raytheon, Lockheed Martin and the University of Maryland College Park, our Hilton Garden Inn hotel is just blocks from Greenbelt metro. 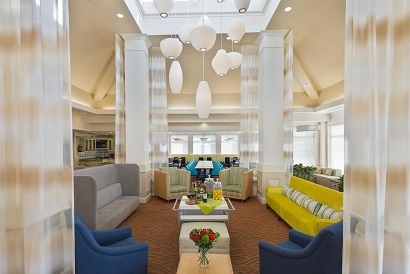 The Hilton Garden Inn Washington DC/Greenbelt offers breakfast, dinner, evening room service and a lobby bar. Full service in-house catering supports our 3,700 square foot Roosevelt Ballroom, Azalea and Dogwood banquet/meeting rooms. There is a wonderful selection of specialty cuisine and casual-themed restaurants in the area.